SKU: 300. 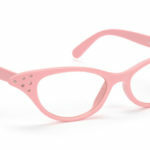 Category: Accessories, Parasols and Umbrella's. 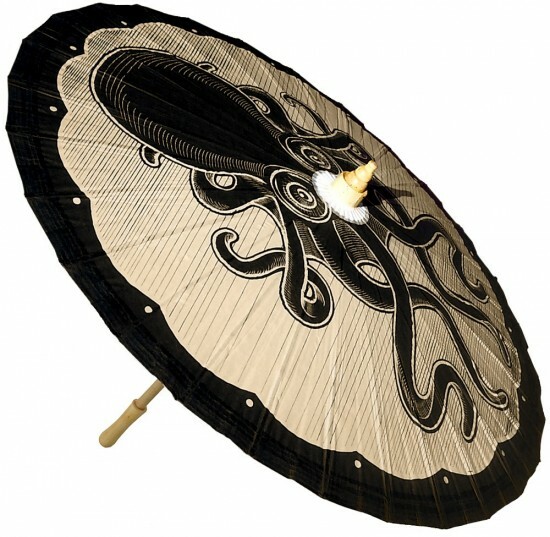 This Kraken Parasol is a must have for any deep sea-loving, sun-shy pinup! 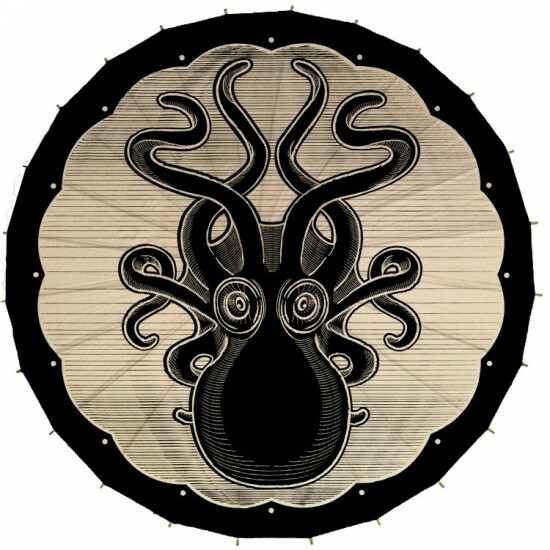 It features a large print of our Kraken design on tan, non-oiled paper.